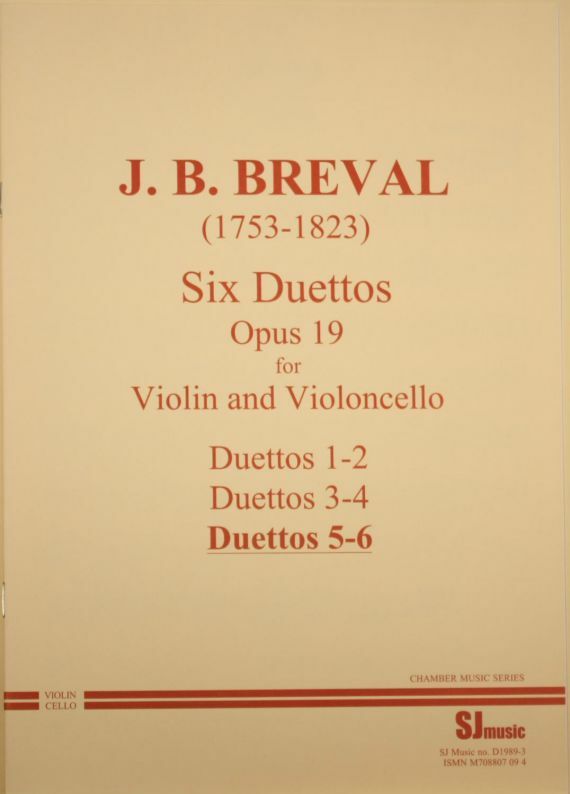 These violin and cello duets are straightforward and tuneful, and do not present any technical difficulties for the student or average amateur player. They are by Jean Baptiste Bréval who was a French composer and cellist. He was born in Paris in 1753 and died in Aisne in 1823. 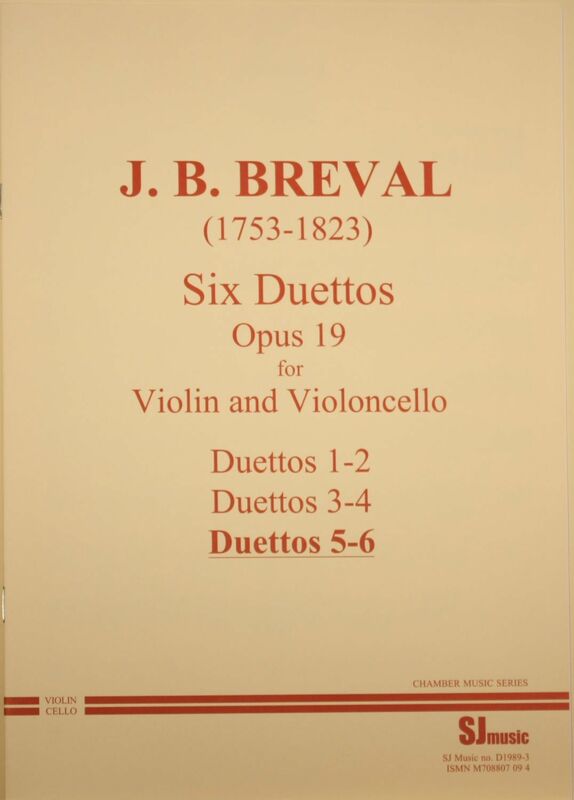 His Opus 19, Six Duettos for a violin and violoncello, (this is the third of three sets of two duets published in by SJ Music) was published in London in 1785 and was dedicated to His Royal Highness the Prince of Wales.